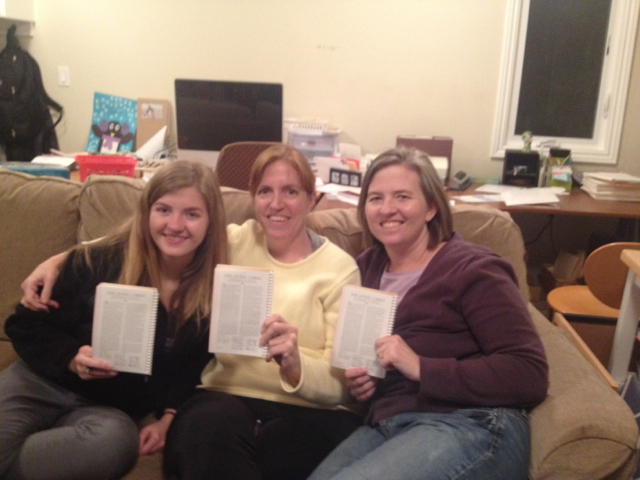 Nicole and I passed off the memorization of The Living Christ tonight with Jeslyn. It was three weeks of memorizing and reciting and internalizing the words from this inspired document. I would never have done it without the examples of Jeslyn and Nicole. Jeslyn had a great way of breaking down the meaning and wording of each paragraph. Nicole has a brilliant mind and captured the essence quickly and completely. I am so grateful for my Savior, Jesus Christ, His life and love, His example and atonement, and grateful for the apostles and prophets who testify and teach and serve Him. We have memorized the rest of The Living Christ. It is a powerful testimony of the life and purpose of our Savior. I am going to type it up to solidify the memorization. Thanks to Jeslyn and Nicole for helping in this meaningful process. ‘I am the first and the last; I am he who liveth; I am he who was slain: I am your advocate with the Father’ (D & C 110-3-4). Of Him the Prophet also declared: ‘And now, after the many testimonies which have been given of Him, this is the testimony, last of all, which we give of him:That he lives! That by him, and through him, and of him, the worlds are and were created, and the inhabitants thereof are begotten sons and daughters unto God’(D & C 76:22-24). We declare in words of solemnity that His priesthood and His church have been restored upon the earth —’built upon the foundation of…..apostles and prophets, Jesus Christ himself being the chief corner stone’(Ephesians 2:20). We testify that He will someday return to earth. ‘And the glory of the Lord shall be revealed, and all flesh shall see it together’ (Isaiah 40:5). He will rule as King of Kings and reign as Lord of Lords, and every knee shall bend and every tongue shall speak in worship before Him. Each of us will stand to be judged of Him according to our works and the desires of our hearts. We bear testimony, as His duly ordained Apostles — that Jesus is the Living Christ, the immortal Son of God. He is the great King Immanuel, who stands today on the right hand of His father. He is the light, the life, and the hope of the world. His way is the path that leads to happiness in this life and eternal life in the world to come. God be thanked for the matchless gift of His divine Son. I had a bunch of punctuation and capitalization errors to fix. And a couple of words. But I almost have it word perfect. Nicole and I are going to try and pass it off with Jeslyn Monday night. Jeslyn passed it off to us tonight. I know that getting more sleep —earlier to bed, earlier to rise — will change my life. So I am attempting to do that. Last night, I was in bed before 10, don’t know if I got to sleep before 11:30, too much to catch up on with Erik. But I did get up at 6:15 and drove Brandon and Nicholas to seminary, and then went to the Dish for my favorite walk. I am exhausted now, before 8, but maybe that will get me to sleep by 10? I will report tomorrow. 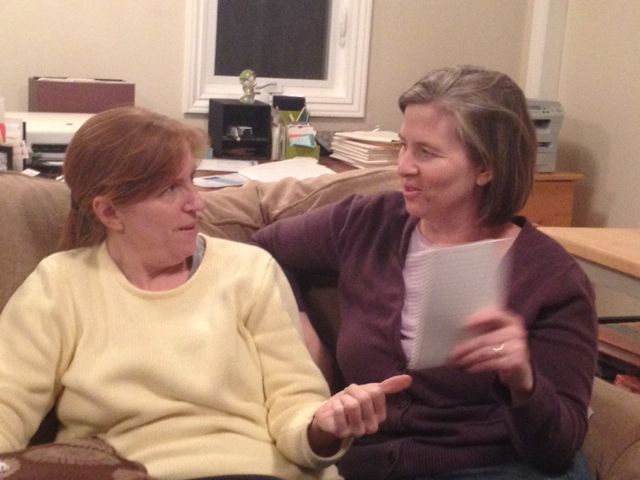 Last night, our good friend, Jeslyn, came over to start memorizing The Living Christ, the apostles’ testimony of Jesus Christ, with Nicole. It is a final value project to complete her personal progress. I spent most of my walk this morning memorizing the first two paragraphs of that inspired work. It is good preparation for Easter, and a chance to remember the gift of the atonement and resurrection of Jesus Christ. I am going to type out those first two paragraphs, and see if I have really learned it. Nicole and Jeslyn inspired me to want to learn it after being their memorization checker last night. It should take 10 hours of work and be a strengthening, meaningful use of time and brain energy. “As we commemorate the birth of Jesus Christ two millennia ago, we offer our testimony of the reality of His matchless life and the infinite virtue of His great atoning sacrifice. None other has had so profound an influence upon all who have lived and will yet live upon the earth. I had to correct a couple of minor capitalizations and quotes. I had to rearrange the first phrase of John 1:3. But otherwise, I have learned those two paragraphs! It is a good mental exercise to memorize this. And it helps me focus my thoughts on my Savior, to whom I am indebted eternally.